The New Year is also a time of new beginnings, and for many recent immigrants and jobseekers, finding employment in Canada with international credentials and experience is like starting their careers over from the beginning. Internationally trained professionals (ITPs) bring a lot to the table with considerable experience and unique, diverse perspectives, but can encounter barriers due to unfamiliarity with Canadian workplace culture and the industry in Niagara. 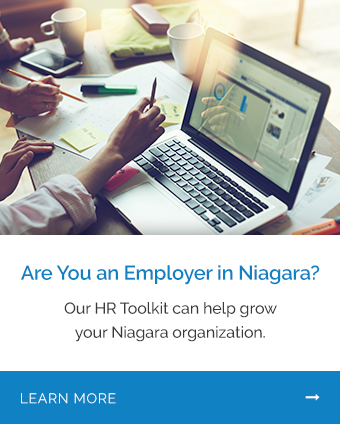 Getting to know a local peer in their field of expertise who can answer their questions and provide advice can go a long way toward helping them establish themselves within the Niagara workforce. Numerous mentorship programs have been established by local governments across Canada, pairing ITPs with community members already established in the same profession to help address the barriers faced by newcomers. The City of Toronto has run its Profession to Profession – Immigrant Mentorship Program since 2004 and has helped facilitate an estimated 1,500 mentoring partnerships. These partnerships are important both to mentees and mentors alike. Mentees learn how to prepare for interviews in a Canadian setting, are given support writing resumes, and build professional networks. Mentors gain experience in professional development and are given the opportunity to build their intercultural communication skills. Many organizations and partners within the Niagara region have shown their commitment to mentoring ITPs. Organizations including Meridian Credit Union, Royal Bank of Canada, and Brock University have been local leaders in supporting these programs. 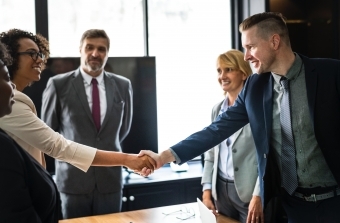 If you want to make a positive impact in your local workforce and in the life of a fellow professional, our Mentorship Manager, Josie Faccini, is happy to provide you with the information needed to start your own mentoring journey. Get in touch with Josie today via email, or by calling 905.641.0801 ext. 126.